Pontypool welcomed Merthyr to Pontypool Park on Friday evening for a re-arranged SWALEC Championship match as third place took on second. Pontypool is the only team to defeat The Ironmen at The Wern this season with a 20-13 success back at the beginning of October but Merthyr made up for that reverse with a powerful performance which took them back to the top of the table, two points ahead of rivals Swansea. Merthyr kicked off playing down the slope on a fine but chilly early Spring evening. After 7 minutes the visitors scored a try by scrum half Rhys Downes after good work from a dominant scrum. Outside half Matthew Jarvis converted (0-7). Four minutes later Merthyr were guilty of not rolling away on their 22 to the left of the posts and home full back Geraint O’Driscoll slotted the kick at goal (3-7). On the quarter-of-an-hour mark Pooler were penalised for tackling without the ball 5 metres into their half in midfield and Jarvis put the visitors further ahead with a good kick at goal (3-10). With half an hour gone and after a sustained period of pressure near the Pooler line, Jarvis dropped a goal to put The Ironmen ten points clear (3-13). A couple of minutes later Pooler were awarded a penalty for side entry 35 metres from the Merthyr line in midfield. O’Driscoll slotted his second penalty of the match (6-13). With five minutes to go to half time, Pooler tight head prop Ryan Harford was yellow-carded for dropping the scrum. Three minutes later replacement tight head prop Garin Harris came on for flanker Gareth Rusby-Davies – an enforced change. Just before the interval Pooler won a scrum five and after several drives to the line, back rower Jordan Williams crossed for a try under the posts. 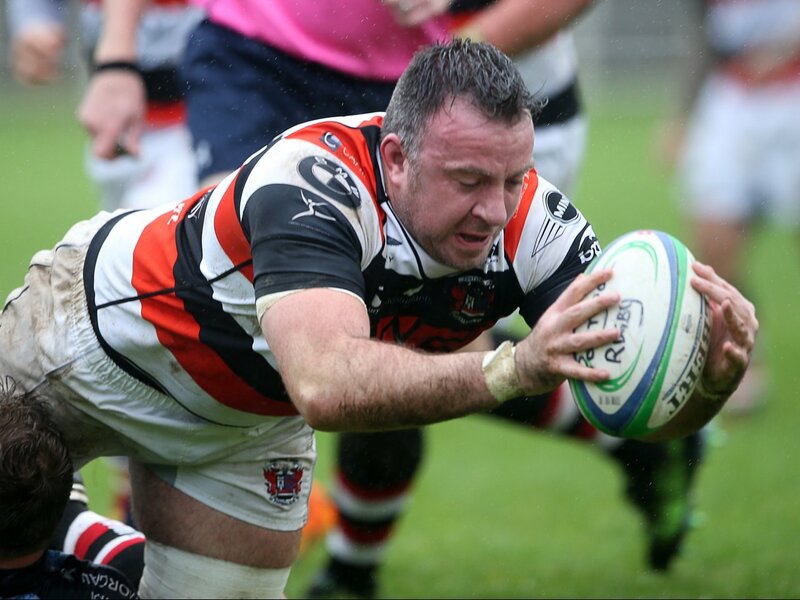 O’Driscoll added the extras to bring Pooler level at half time, 13 points each. Early in the second period Merthyr went on the attack and from a very effective driving maul, flanker Osian Davies crossed for a try which Jarvis converted (13-20). With 52 minutes played home No 8 Ben Sparks and Osian Davies were sin-binned for a scuffle. 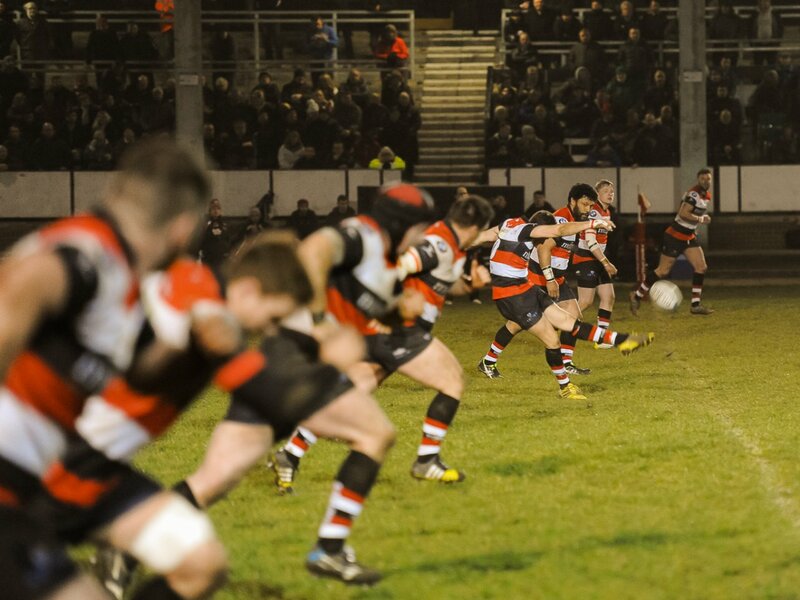 Midway through the second half Pooler were penalised for not retreating after a kick, 15 metres from Merthyr’s left touchline and 40 metres from the home goal line. Up stepped Matthew Jarvis to kick a good goal to increase the Ironmen’s advantage (13-23). On 69 minutes Pooler’s scrum half Aaron Quick made way for Dan Brooks and second row Matthew Thomas hobbled off with Nathan Hudd replacing him. Soon after Pooler were guilty of wheeling a scrum on their 22 to the left of the posts and Jarvis kicked another 3 points for the visitors (13-26). As the game entered injury time Merthyr sealed their deserved win with a try by replacement Miles Normandale, converted by Matthew Jarvis. In the final two minutes Joe Popple came on for back row forward Jordan Williams. Final score Pontypool 13 Merthyr 33. This was a very impressive performance by Merthyr with powerful forwards and dangerous backs. As for Pontypool, it was a brave effort and credit to the players as they never gave in and battled right up to the final whistle but they came up against a better team on the night. Pontypool’s next two games are at home – Cardiff Metropolitan University visit Pontypool Park on Easter Saturday 26 March while Glynneath are the visitors the following Saturday 2 April, both matches kick-off at 2.30pm. 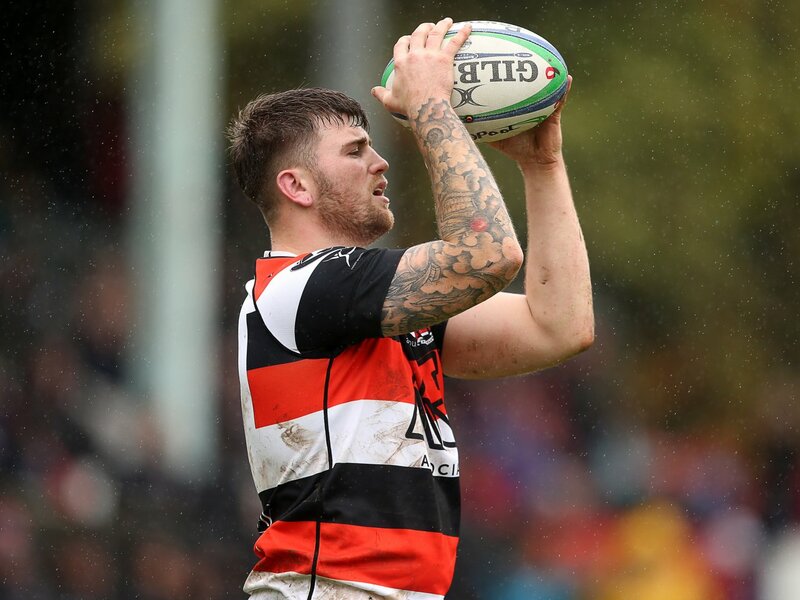 Pontypool: Geraint O’Driscoll, Josh Hurley, Pat Lewis, Sione Tu’ipulotu, Rhodri Usher, Tom Hancock, Aaron Quick (replaced by Dan Brooks), Jamie Jeune, Ben Parry (captain), Ryan Harford (replaced by Garin Harris), Matthew Thomas (replaced by Nathan Hudd), Derryn Jones, Ben Sparks, Gareth Rusby-Davies, Jordan Williams (replaced by Joe Popple).